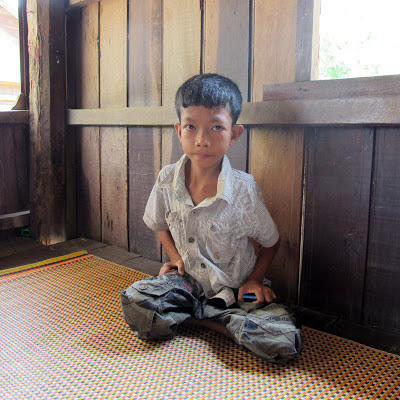 My sister Srey Ma is 11 years old and also has the same condition as me. We never talk about our condition but I do help her when she needs it. My sister Srey Ma goes to Hang Khoban Primary School. I also studied at Hang Khoban Primary School and I really liked it there. When I started I was six years old and in Grade 1. I used to walk to school by myself and sit at the front of the class. I was never worried about being treated differently and my classmates were always nice to me. At first, I was treated the same as the other students but later on, I received more attention. For example, the teachers gave me more attention when I struggled with my maths and other students would carry my bag or buy snacks for me. 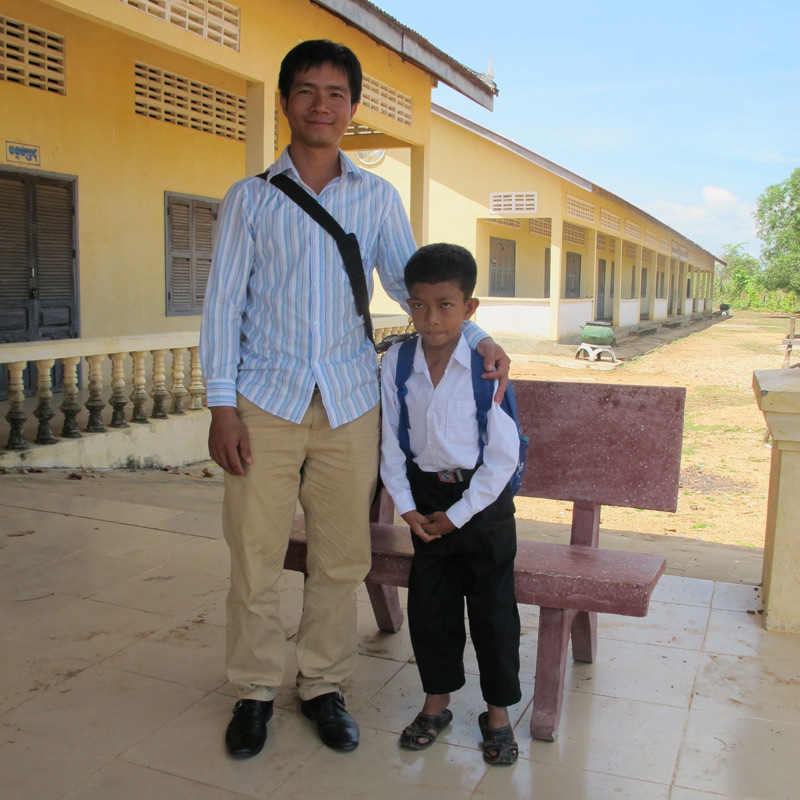 Seng Chantrea with his English teacher, Sophall Yka at Hun Sen Samaki Lower Secondary School. Now I go to Hun Sen Samaki Lower Secondary School. I am the Chief of the class and I’m the only boy with a disability at this school. My favorite subjects are English and Khmer but I don’t like Mathematics. I enjoy studying and playing with my friends. I like going to school because I have a lot friends to play with. Recently I haven’t been absent from school which is good because I get bored staying at home. My best friend is Sothea, Thy, and a few others.